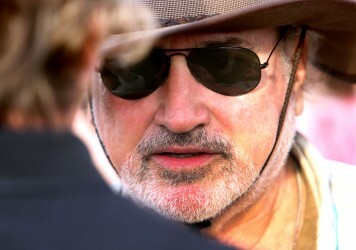 It’s Terrence frickin’ Malick... Stand up and pay attention. As with all of his films, blossoms into something unique and beautiful. Terrence Malick’s Knight of Cups explores the difference in such terms as ‘change’, ‘regression’, ‘evolution’ and ‘rebirth’. Photo albums are obsolete, cultural relics, caked in the dust of time. Electronic media has seen to that by offering something new in their place. A photograph is now a jpeg or a Vine. It exists on a phone or a drive. One wrong flick of the thumb and it’s gone forever. Malick tries to find some valuable convergence in these ideas, whether there’s a way to make something that’s big, deep, profound, abstract – everything great cinema should aspire to be – but using the tools, the imagery and the language of the technological present. The conclusion reached is that now, looking through an album of photographs is an active rather than passive process. Knight of Cups encapsulates that cinematic potential, weaving together stocks and styles as a way of cataloguing the things we remember and the ways we have of remembering them. A scene of toddlers frolicking on a front lawn – perhaps an early remembrance of the film’s louche hero, Rick (Christian Bale) – is captured with abrasive, pixellated video. A leap into the future is then represented with a conversion to gorgeous, pin-sharp 65mm film. Rick is going through his own transition. Forlorn and directionless, his time is spent avoiding his lucrative day job writing comedy movies, and harking back to the numerous sexual trysts of yore. It’s a personal search for happiness and meaning, raking over the peach-hued ashes of lost love as a way to form a present-day game plan. His future – and the impossibility of his quest – is represented by tarot cards which make up the film’s chapter headings. Rick’s anxiety is melancholic more than angry. He doesn’t seem suicidal, despite a predilection for jumping into water wearing the same black suit/black shirt combo. He’s accepting of the world as it is. He’s peaceable, but agitated. Though this may read as a dereliction of critical duty, it feels pointless to try and divine a finite meaning from this text. A game of second-guessing Terrence Malick’s thematic motives is an exercise in pure-brewed futility. 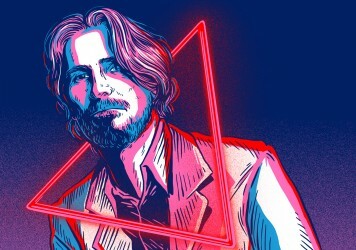 That’s not to say Knight of Cups isn’t an inclusive film – it is just that. It wants you to build theories, engineer conspiracies, link together fragments of information as a way to decipher Rick’s vague but poignant predicament. Moving beyond literal readings, the film is about the way we contemplate, the manner in which our minds index information and, perhaps its most unique achievement, the difficulty of affixing a distinct emotional reaction to an event from the past. There’s barely a conventional line of movie dialogue. It’s all piecemeal conversations and overheard declamations. Words and music join as one, they are sounds or staccato poetry, no longer a mode with which to communicate. This ‘story’ is being delivered from the perspective of a man, and so accusations of misogyny have been levelled at it. If you’re making a film where openness is part of its design, then there’s really no come back to this response. Maybe the moments of Rick tapping the rim of his Wayfarers and gawping at impossibly beautiful women (often below the waist line) as they strut down LA sidewalks are merely the primal, erotically-charged images that he has catalogued in his memory? Is there a difference between making a film about a character who may have misogynist tendencies, and endorsing those tendencies? Is this an aggressively honest (and objective) depiction of macho instincts, or a symbolic (and subjective) channelling of its director’s rapacious libido? We’re left to guess how and why Rick connects with and subsequently breaks away from this cortege of women. His relationship with an older women (played by Cate Blanchett) crumbles because they failed to have children. He connects with Imogen Poots at a pool party which, for her, never seems to end. He later indulges in the male fantasy of running away to Vegas with a live-wire stripper (Teresa Palmer). Rick is obsessed with the beach. In his head, he loves to paddle in the waves with his current squeeze. The women in his life are like waves, rolling up and smothering his body, then, drawing back, dissipating into nothingness. Cinema is a language which Malick has mastered, and so he is now trying to invent a new form of communication. Everything in Knight of Cups can be found in conventional romantic or dramatic genre films – the Dickensian tale of a man learning lessons from his actions, trying to understand what love is, atoning for things he thinks are sins, railing against things that harm his temperament. More than a stand-alone feature, it’s the continuation of a journey, of an artist looking back over his career and asking what he can do differently. It’s a humble and humbling epic that channels theology, religion, philosophy, architecture, ecology and ethnology through simple bursts of primal emotion. It’s like an old master painting a God emoji. Everything is connected – including Peter Adolphsen’s ‘Machine’ and Terrence Malick’s 2011 film.